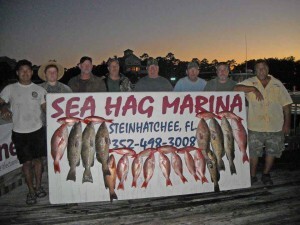 We’ve just had a great month at the Sea Hag Marina. 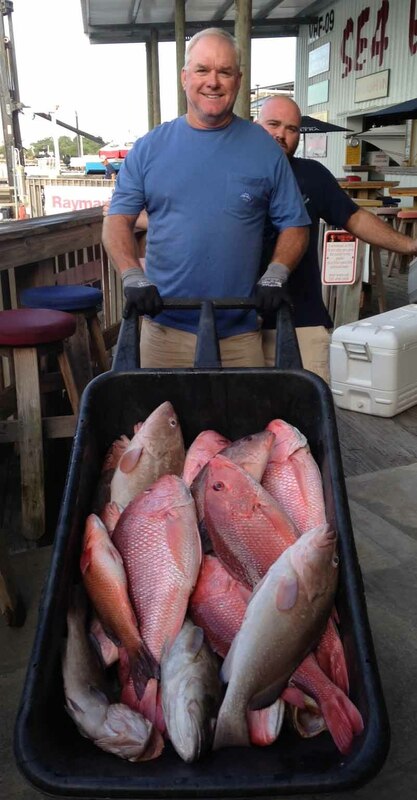 The short red snapper season was a huge success, the grouper bite has been active in shallower water, kingfish and Spanish mackerel are plentiful, and the inshore water has been clearing from the summer rains. 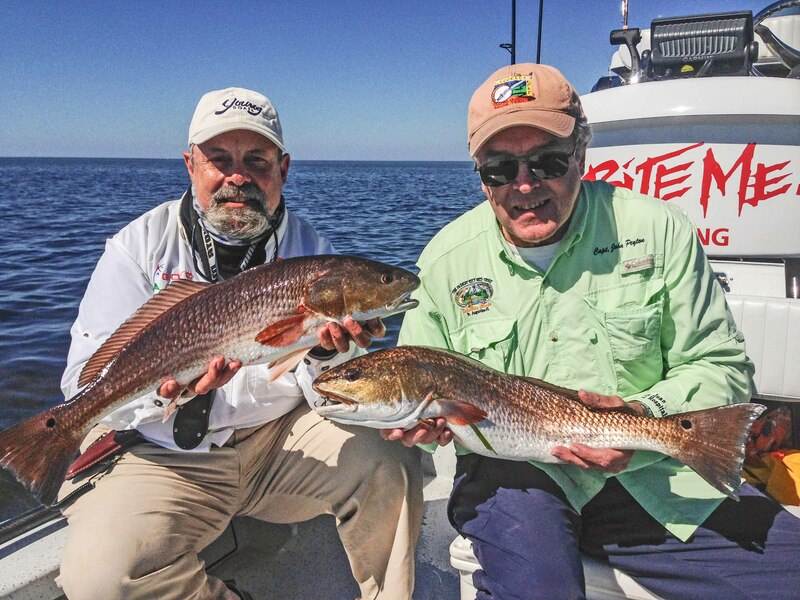 This month the redfish began their fall schooling behavior, with some schools of giant bull reds keeping everyone on their toes. 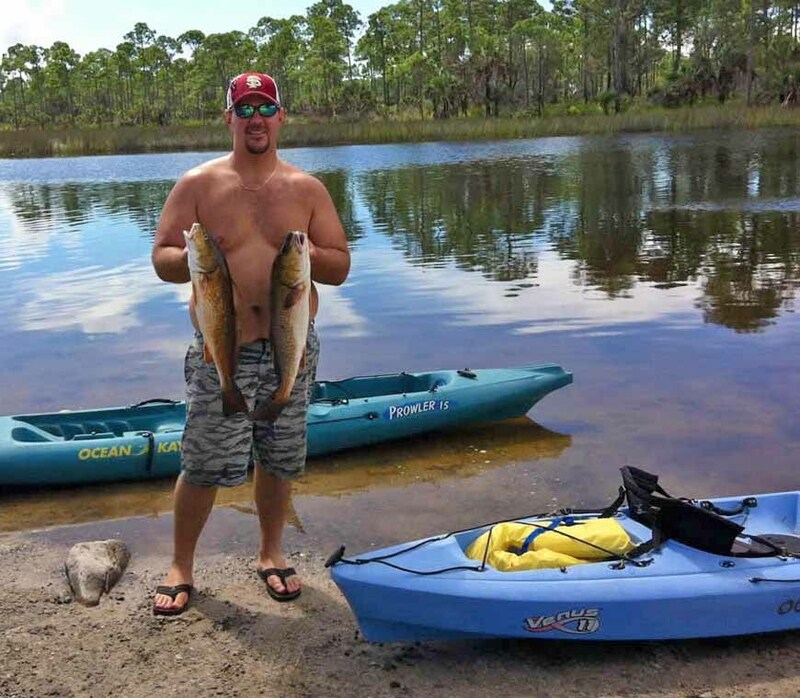 These are the largest “juvenile” redfish, those over 30 inches, that are finally ready to spawn by moving offshore, never to return to their inshore haunts. They will continue to disrupt offshore grouper fishermen, however, by showing up on offshore structure and providing lots of rod-bending. Near the end of the month I had several trips with moderate success in finding several schools of redfish, and mid-month there were lots of both speckled seatrout and silver trout taken in 5 to 8 foot depths in the “doghead” area west of the bird rack. Large schools of whitebait moved through the nearshore areas and bars, providing bluefish, Spanish mackerel, ladyfish and trout with a moveable feast. Some giant Spanish mackerel were taken (one was lost on my boat that must have weighed close to ten pounds) and cobia are heading south through our area. 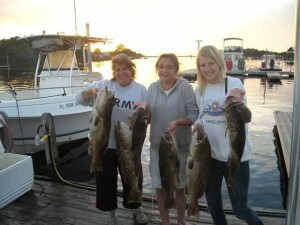 As you can see from the following pictures, the fishing is great. 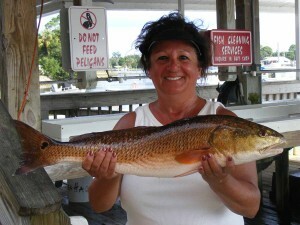 Jan Barnett and Glen Maddox fished with me and Jan found this excellent redfish. Bob Setters floated up on a school of bull redfish near the Bird Rack and extracted this fine specimen. 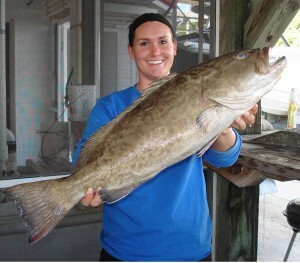 Brittany Rothfork won for the largest grouper in the Gainesville Offshore Fishing club fall tournament. 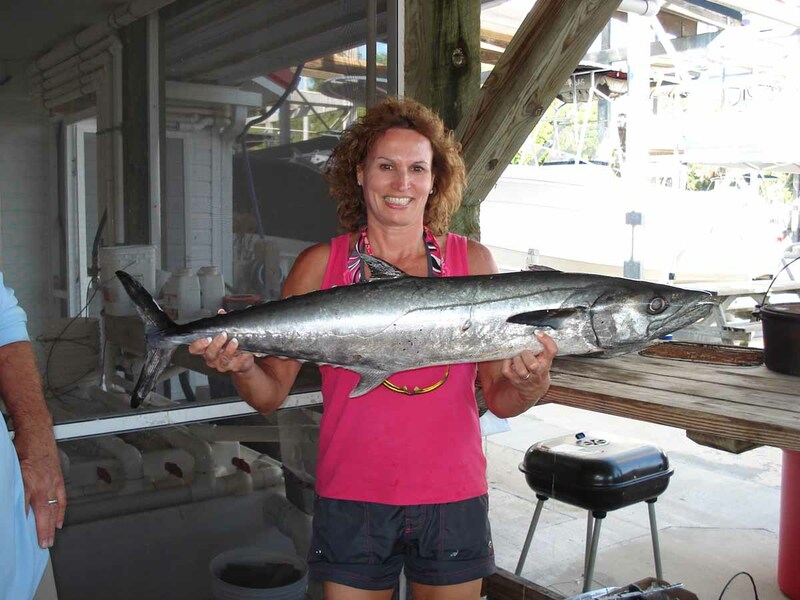 And Debby Knopf claimed the largest kingfish in the tournament. 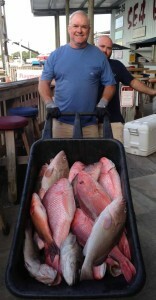 Dean Baker got this wheelbarrow full of red snapper, red grouper, and scamp. 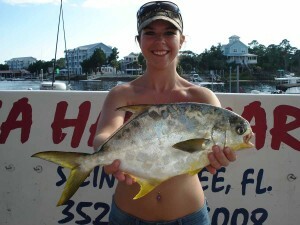 Brittany McCollum caught this tasty pompano using a Gulp bait. Capt. 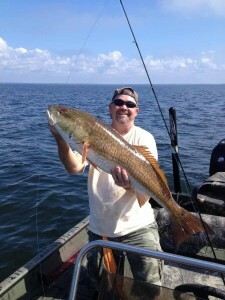 John Peyton fished with me and we found these bookend redfish in shallow water. Friends Bubba Edge and Mark Stubbs with a fine grouper/kingfish pair. Another bull redfish for Janot Villard. More and more people are kayaking our area. 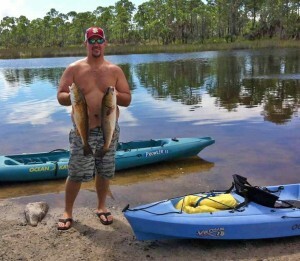 Jeremy King found these fine fish while kayaking Rocky Creek. Pippa and Elicia both had to work to land this 74 pound cobia, fishing with Capt. Brian Smith. 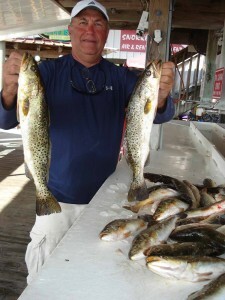 Master fisherman and Sea Hag regular Max Leatherwood and a few of his trout catch. 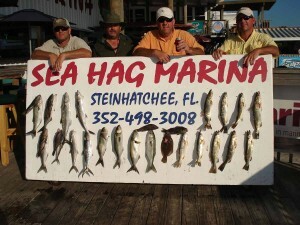 Frank Sciolis, Jason McMillan, Charley Lewis and Randy Strickland with a great inshore mixed bag. Tammy Wood Barrett, from Mt. 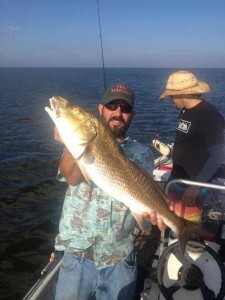 Airy, Georgia nailed this fine redfish fishing close to shore. 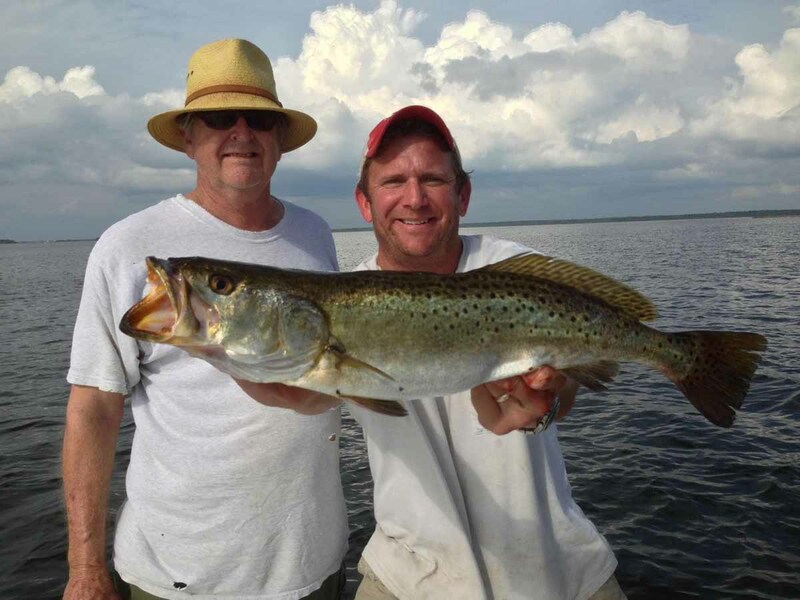 Tommy Ballard took Rob Dunagan and Billy English trout fishing and they located this gator trout north of the Steinhatchee River. Ty Jackson from Lake City with a giant red snapper that was headed for the cleaning table. 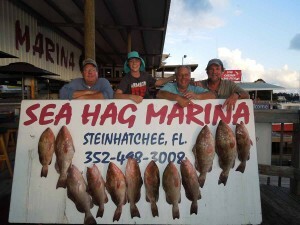 Steve Hess, Buddy Mueller, Scott Bly and Brad Mueller were fishing for red grouper in 60 feet of water and had a good day. Fishing in November, as always during the winter, is very weather-dependent. Hopefully the usual November wind will be gentle this year. Offshore fishing is excellent, with the migration of baitfish continuing and the migratory pelagics, kingfish, cobia and Spanish mackerel, following them everywhere they go. Recently we’ve come upon acres of whitebait being blasted by bluefish, mackerel, ladyfish and even trout. 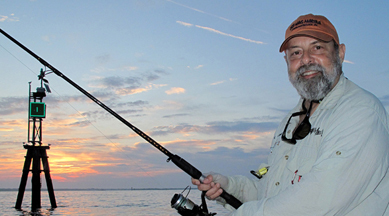 For some guaranteed action, set up a chum line near a nearshore bar in 5 to 8 feet of water, and wait for the fun to arrive. 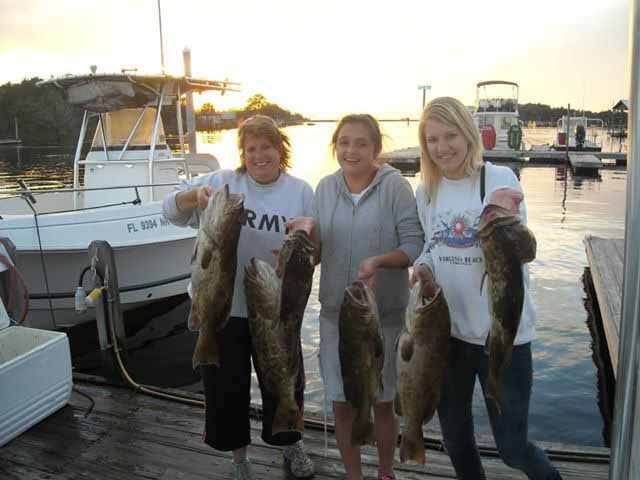 Inshore, the seasonal tidal shifts will gradually lead to lower daytime tides. As long as the water remains in the 60 degree range, redfish and trout will remain active. When you can avoid floating grass, fish suspending lures such as the Mirrolure Paul Brown lure, Catch 2000 or Mirrominnow, the Rapala SSW, or the Live Target series of suspending lures. Fish them very slowly as the water cools. This is the time of year to think about using live shrimp, since the pinfish population is decreased in the shallows. 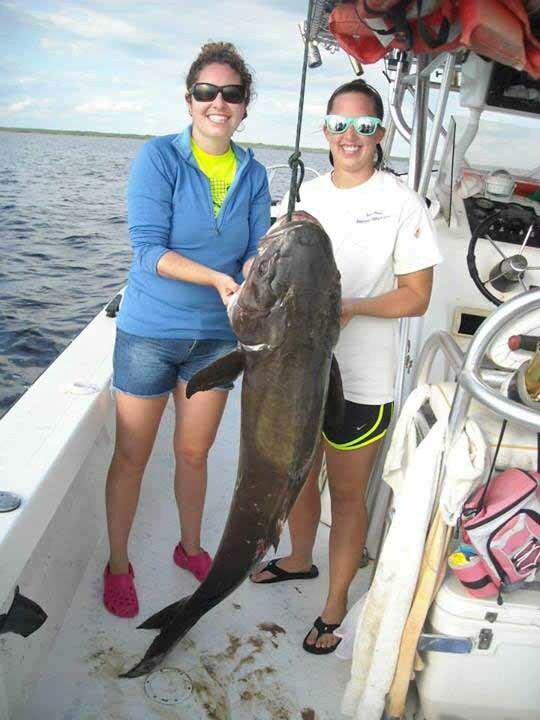 Offshore, bottom fishing with live pinfish or frozen squid, sardines or cigar minnows will lure grouper, cobia and kingfish. Throw out a live bait on a cork for the random surface feeder. Trolling with lipped plugs like the Mann’s Stretch series, or similar models by Mirrolure and Rapala will pull gags away from structure and cover a lot of water if the bottom bite is off. 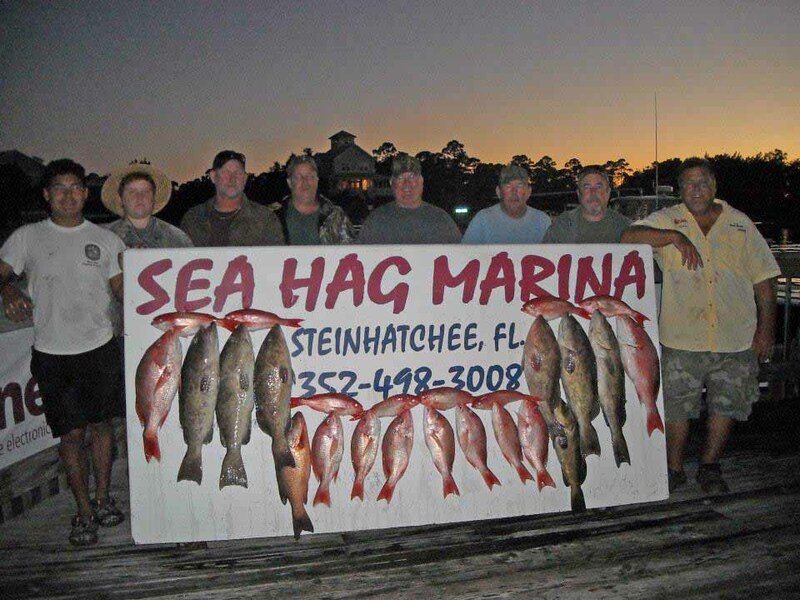 The Sea Hag Ship’s Store can provide you with anything you need in the way of bait, tackle, and our great rental boats can get you to where you want to go. 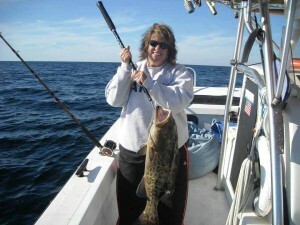 Now some reports from our guides…..
October was a great month to be on the water. Plenty of trout, Spanish, sea bass, and a big plus—BIG SAND TROUT. This is the first year that I have seen this number of large sandies. 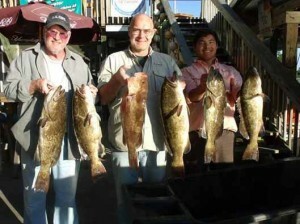 They usually average 12 inches with an ocassional 14, this year they averaged 14 with plenty of 16 inchers. 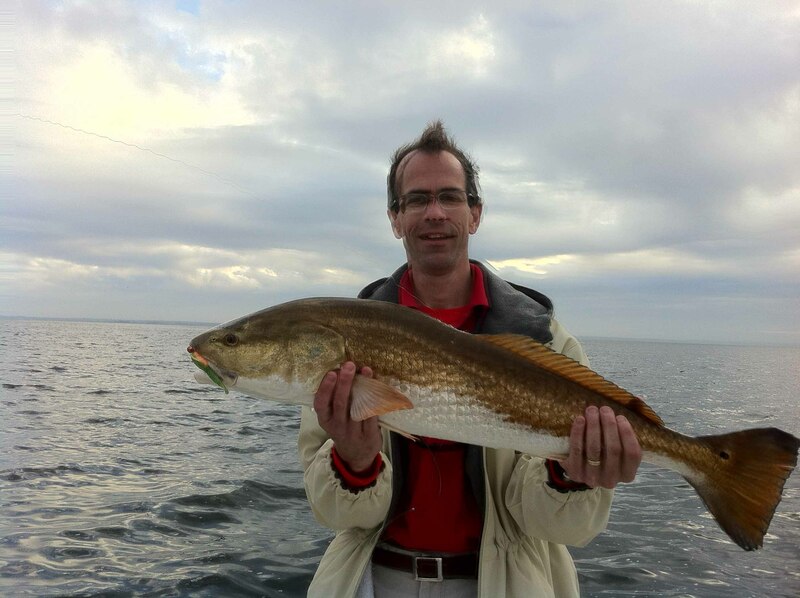 There are still some out there for November fishermen too. 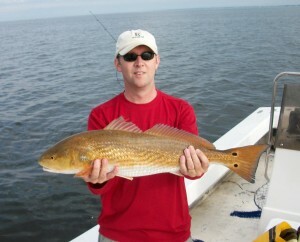 Redfish are just starting to move about on the flats. 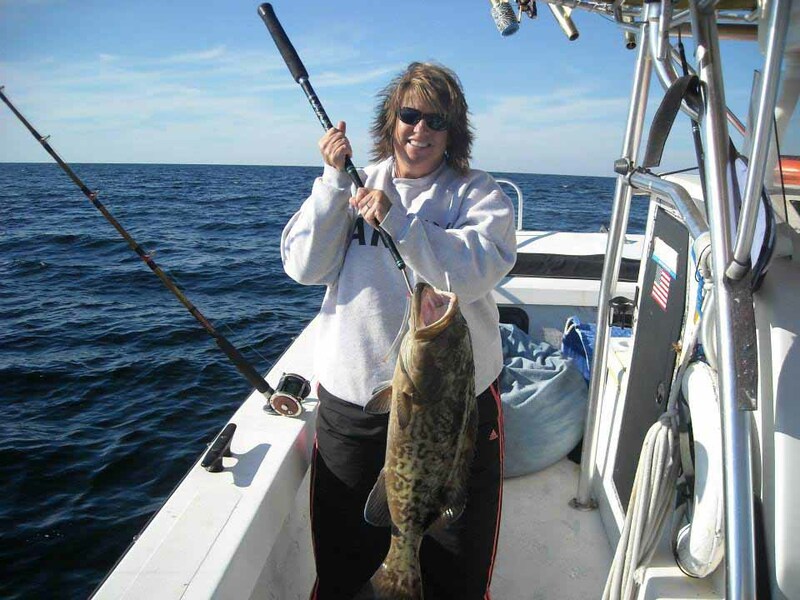 There are a lot of oversize fish, but also plenty in the slot. The specs and Spanish should continue to be plentiful all month. Still have some good days open for November. The first few cold spells of Autumn mean two things to offshore fishermen: 1) the bait fish that have been so thick all summer are migrating south and 2) the pelagics that feed on them are going to follow. 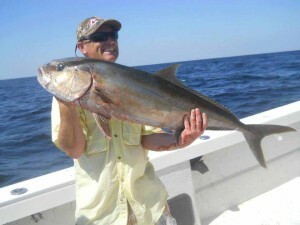 This November should be a fine one for kingfish and maybe even cobia. The departing forage fish will transform the finicky summer grouper into the voracious fall and winter grouper and more susceptible to cut bait…and especially a trolled lure. Already Spanish mackerel are being caught in the dozens at near shore reefs. 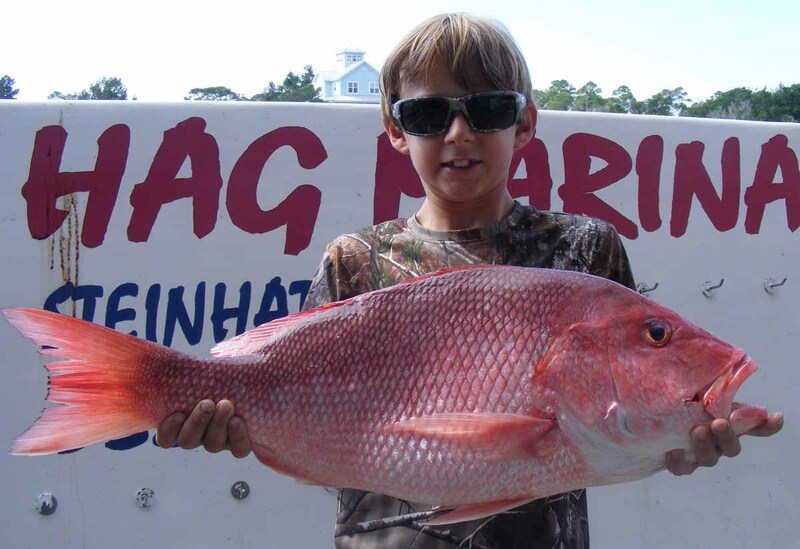 Farther offshore, the miniscule season left plenty of red snappers out there and they are more than happy to hit most any bait dropped in their vicinity. This is once again a catch and release fishery until NMFS and the Gulf Council tell us what next year’s season will look like. Hopefully someone with walkingaroundsense will prevail…. but the environmental wackos have full time jobs lobbying to stop all fishing activities and will be again be loud about the need to protect the species from us nasty recreational fishermen. On a personal note….I helped design and build my 29′ Mirage, the TUNER, back in 1989. I have loved every one of the 7000+ running hours and thousands more spent at anchor. She now has a new name, home and owner who I am sure will take great care of her. The new TUNER is another Mirage, but longer and powered by twin outboards. She should be ready for sea trials by the time you are reading this. Hope to see you on the water soon! In mid October the morning was cool enough that I choose to wear a light jacket on the ride out. It felt good and refreshing. I also noticed the sea temperature had dropped around 5 degrees. 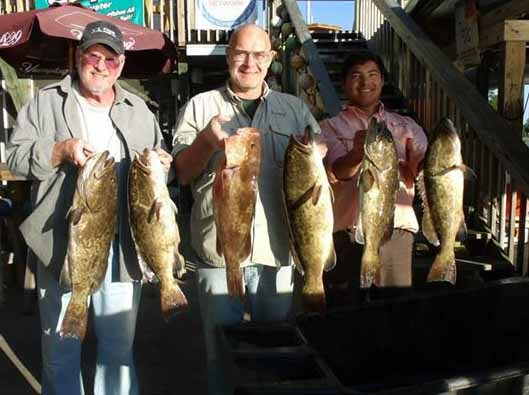 Everybody has noticed the fishing has improved dramatically. Spanish mackerel and other fish are devouring bait pods. We were in the center of the action, and it was literally raining fish. That is good news for November! 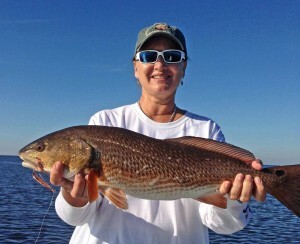 The cooling down trend is going to make November a hot month to fish. 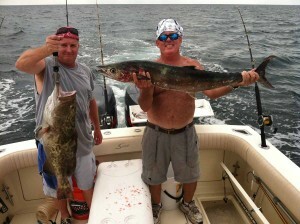 Spanish mackerel and their big cousin King should be feeding on bait pods as they meander southward. That means it is a good time to flip Floreo jigs, Clark spoons or your favorite ‘flash dancer’ into the southbound party. Or, simply slow troll plugs and spoons. 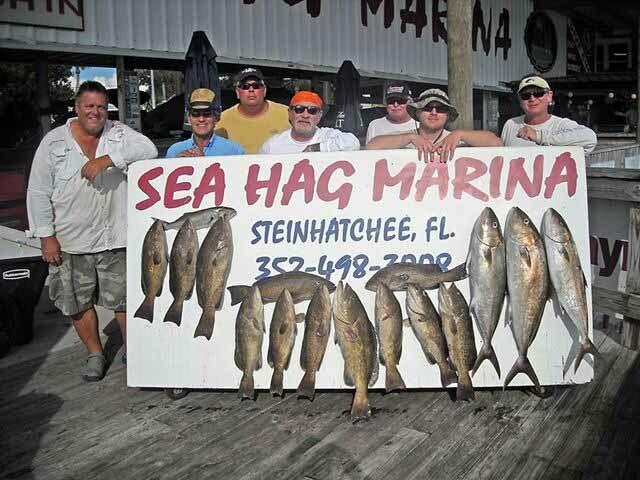 Grouper will be noticing the bait migration and that will cause a strong feeding, better said – gluttony. Bottom fishing should be productive. However, take advantage of the feed-bag moment and troll plugs to find new grouper hot spots. Good color combinations are blue/white and green/yellow. If you can get out of the ‘rut’, it is time to go fishing.